Managing the paper receipts and invoices you receive from your suppliers is a hassle we could all do without and for some this is a task that can take hours every month. So, Sage One is proud to partner with Receipt Bank, the market-leading receipt and invoice processing service that eliminates this manual data entry. The service can now read your paperwork and extract the required data to automatically create the expenses or invoice in our Sage One accounting software. All you need do is scan or take a photo on your device, send it to Receipt Bank and they take care of the rest. In addition to their excellent mobile app, Receipt Bank have even made it extremely easy to get the photo/scan to them using a variety of methods including email, snail mail, website upload or Dropbox. If you’re an accountant/bookkeeper there’s even a special edition of Receipt Bank you which lets you manage the expenses for all your clients in one place! 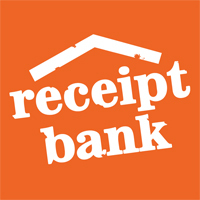 Receipt Bank is a monthly subscription service with a free 14 day trial and pricing based on the volume of expenses you process. Find out more on our Sage One add-ons page.